Process data with PROC G3GRID. Generate the contour after default interpolation. Process data with PROC G3GRID. 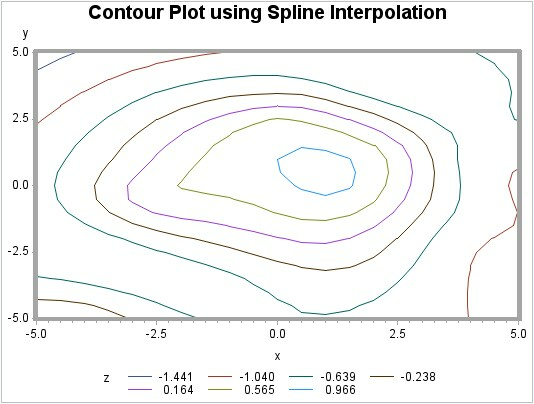 The SPLINE option specifies the bivariate spline method for the interpolation. 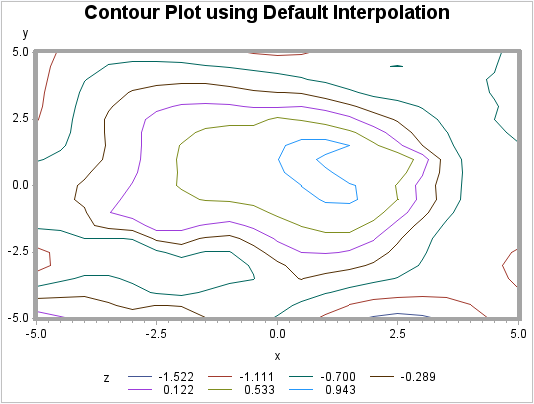 Generate the contour plot using the spline interpolation.